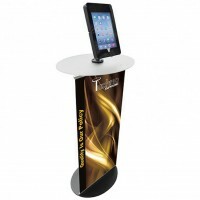 Attach custom branded graphics to this iPad floor stand easily with thumbscrews. 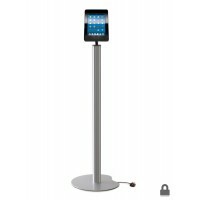 Stylish column floor stand holds iPad securely in portrait or landscape orientation. 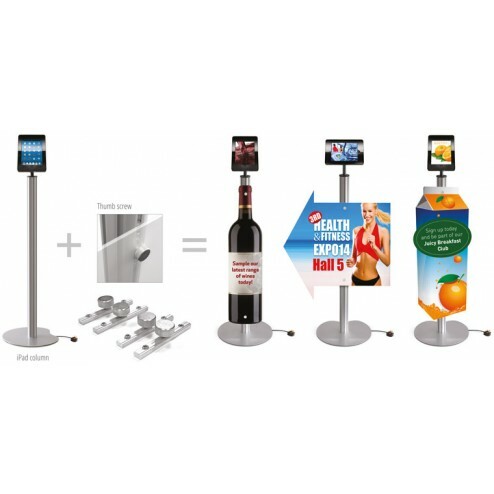 The iPad column floor stand with thumbscrew graphic panel is part of our range of digital solutions. 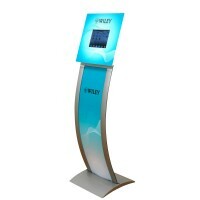 A tablet computer is the perfect way to inform customers about what your business has to offer. 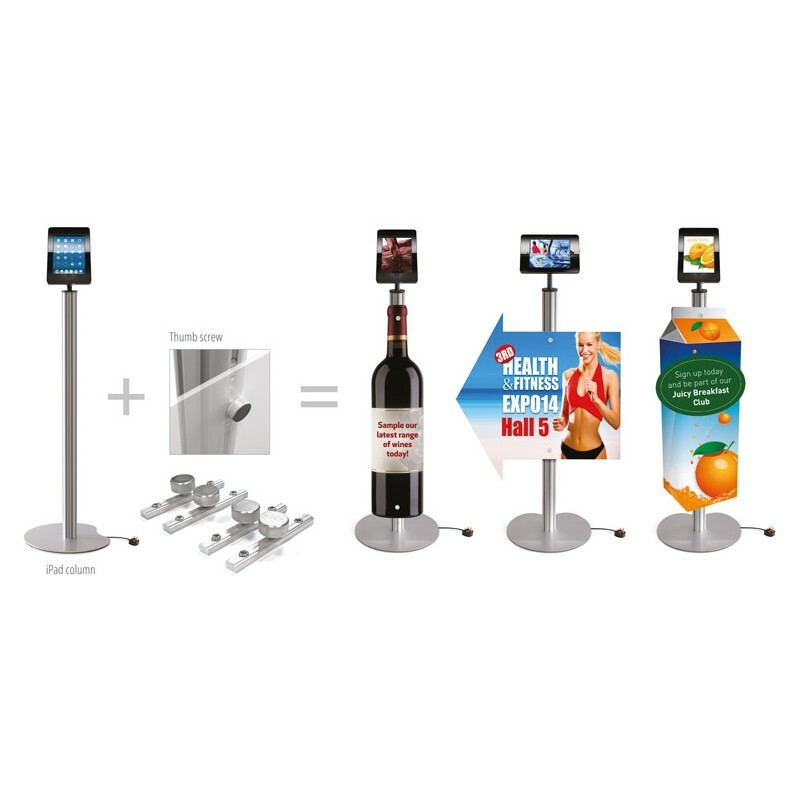 This iPad floor stand allows you to offer interactivity to your customers, while also displaying your own attractive marketing messages. 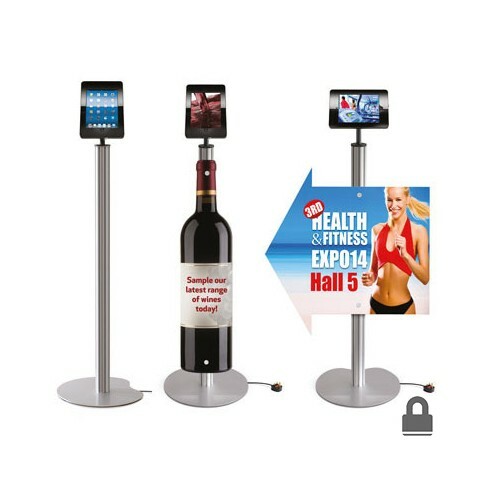 Unlike other iPad stands, this one has the facility to display custom printed graphics on the front, easily attached using the thumbscrew feature. 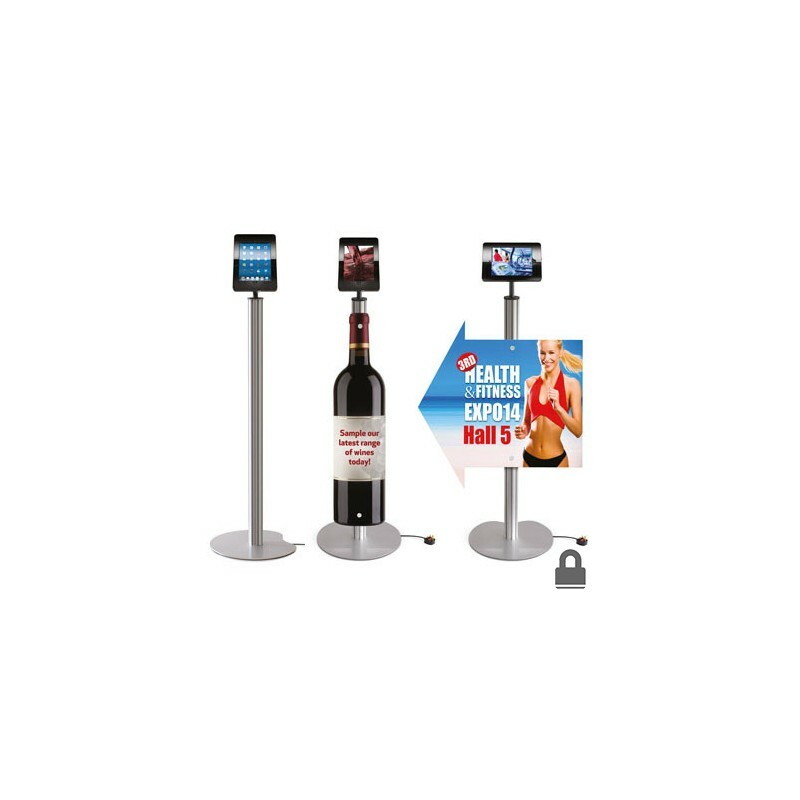 What’s more, it takes just a couple of minutes to assemble – perfect for use in a shop or trade show, if you don’t have much time on your hands to build a fancy display. 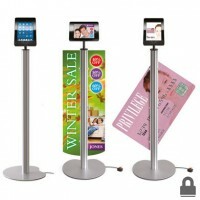 The iPad floor stand comes complete with all the required cables – the cables are safely hidden from view, plus your expensive tablet PC is also kept safe within the secure case provided. 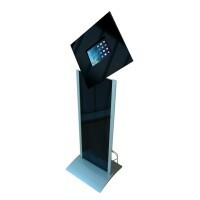 The iPad can also be rotated and tilted to achieve the perfect viewing angle. 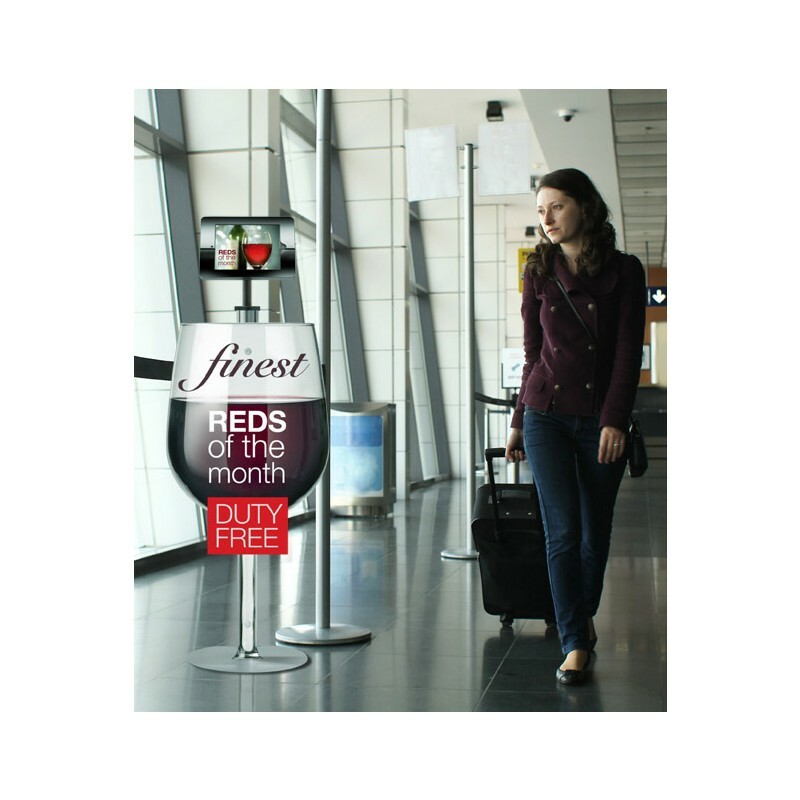 It stands at the optimum viewing level, atop a stylish steel stand. It is compatible with the iPad 2, 3, 4, iPad Air 1, iPad Air 2, iPad Pro 9.7” iPad 9.7” (Please note: the iPad is not included). 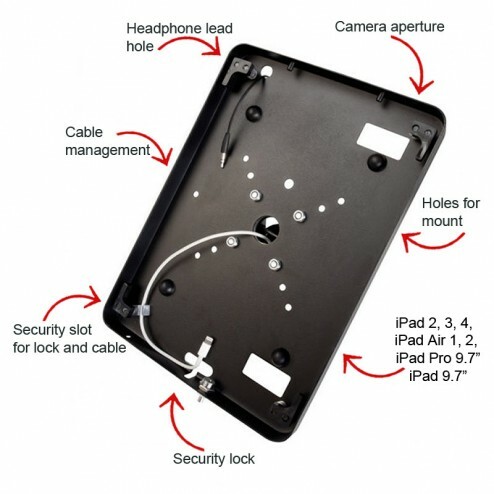 How to video showing erecting iPad stand and attaching graphic using thumbscrews.